Meet the Veterinarians & Team of Rogue Valley Veterinary Hospital in Rockford! We’re pleased to provide exceptional vet care for your pets! Please call us at (616) 863-9390 to speak to one of our caring veterinary staff members! Dr. Klein joined the Rogue Valley team in 2011 as an associate veterinarian. She has a Bachelors of Science from the University of Findlay and got her veterinary degree from Michigan State University in 2002. She holds special interest in internal medicine, especially endocrinology and nephrology. She also enjoys practicing some exotic medicine. She lives with her husband and two sons, along with 1 dog, 1 cat, 2 birds, 1 snake, 2 aquariums, chickens, and ducks. While not at work, she is a substitute teacher, she spends time with her children, gardening, crafting, and fitness training. 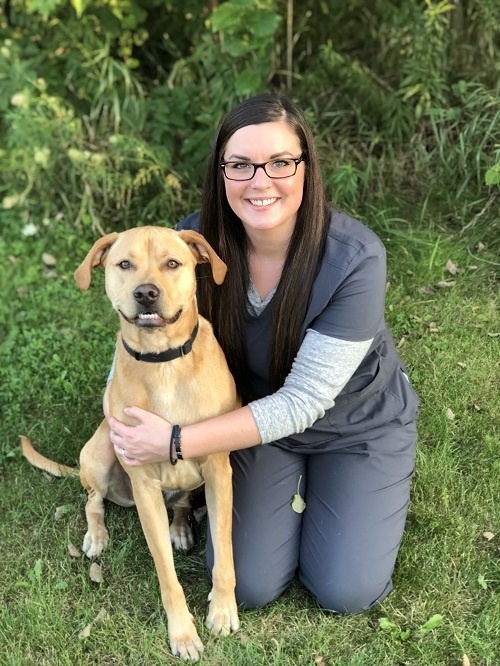 Dr. Vargo is a 2015 graduate of Ross University School of Veterinary Medicine, having completed her clinical year at Cornell University. She joined Rogue Valley in 2017. 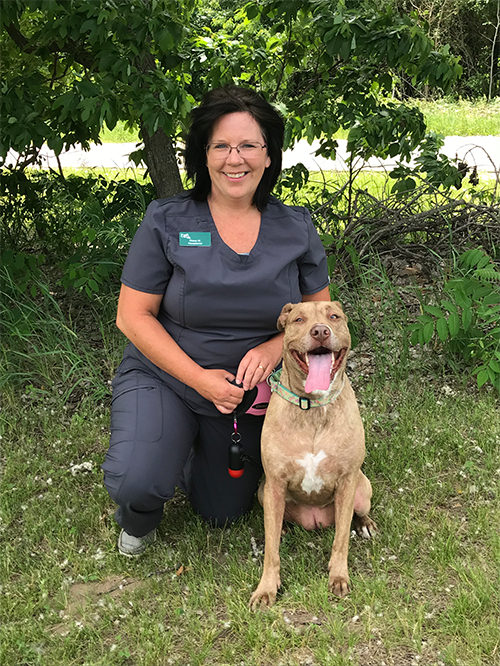 She enjoys promoting the human-animal bond through wellness and preventative care visits, internal medicine, and soft tissue surgery. She also has special interests in canine reproduction, pediatrics, kennel management, and hospice/palliative care. 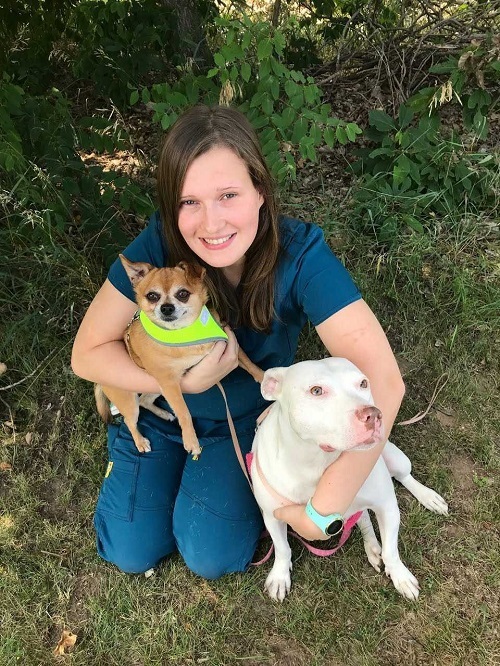 Dr. Vargo’s free time is often spent with her Chihuahuas and Australian Shepherd, usually hiking, kayaking, or going to a dog show. 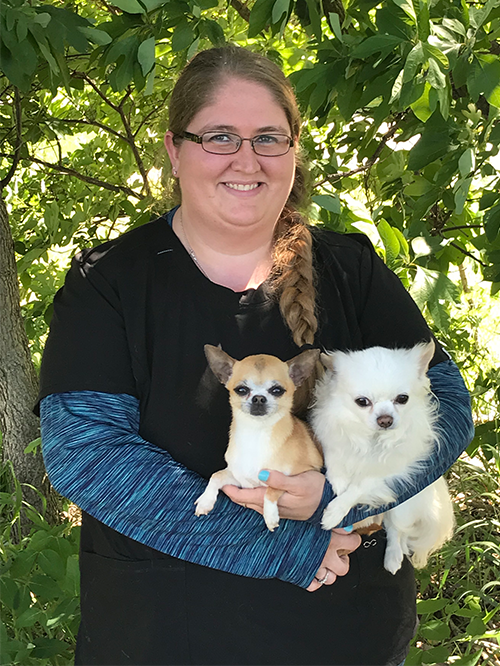 She also holds positions as the President of the Chihuahua Club of Michigan and the Chihuahua Club of America Health Committee. Dr. Duflo graduated with her medical degree from Michigan State University in 2010 and joined the Rogue Valley team in 2017. Her focus as a doctor is strengthening the human-animal bond and performing surgeries, particularly dental surgeries. At home she lives with her Boston Terrier, Birdie and a black Labrador retriever named Keen. She enjoys hunting, kayaking, spending time with her family, and working on her family’s farm in her off time. Karen has been in the Veterinary industry for over 25 years. She has 2 dogs, Bella and Cindy and a cat named Molly. She likes to spend her time off at her cottage or camping with her family. Diane has been the friendly face greeting clients and patients at Rogue Valley since 2012. She has schooling from both Davenport University and Grand Rapids Community College. Diane has a background working with pet rescues. She lives with her husband, her dog, Beatrice, and her two cats, Rupert and Miss Kitty. She loves to travel with her husband, read, boat, camp, swim, and make people smile. 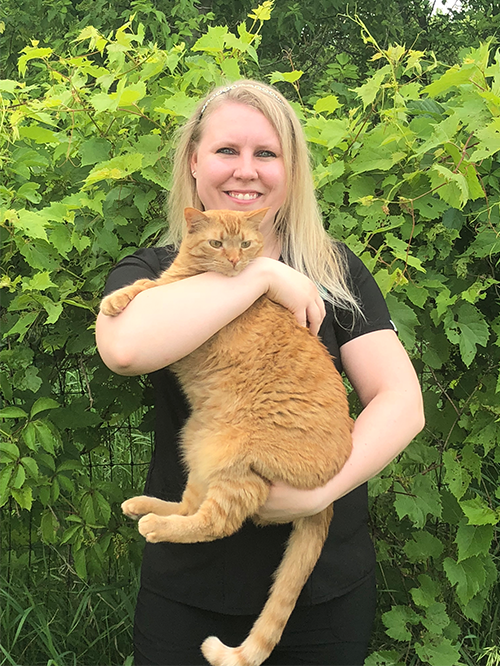 Heather joined the Rogue Valley team in 2016 and is the person who takes care of our wonderful pets while we are out of town. She has gone to school to be a dog trainer. She lives with her parents and her dogs, Colt, Peppa, Winchester, Lily, and Telka. She spends her free time camping, hiking, reading, and kayaking. 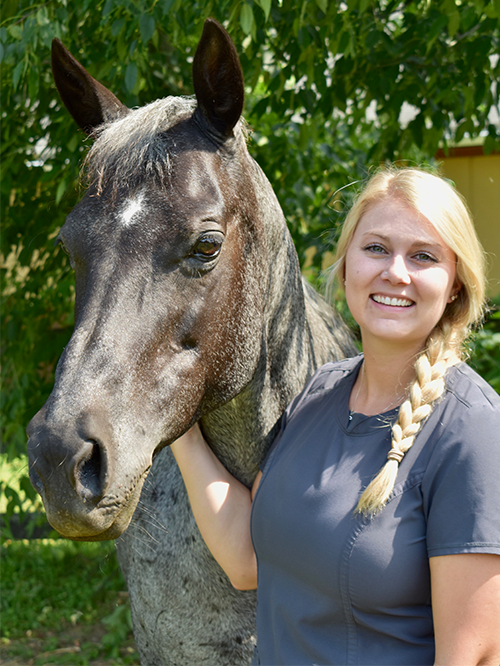 Jasmine is a Licensed Veterinary Technician who joined the Rouge Valley team in 2016. She lives with her two horses, Lacy and Shawnee, two cats, Wilson and Jade, and her dog, Samson. In her free time, she enjoys horseback riding, kayaking, hiking, fishing, volleyball, boating, and flying airplanes with her fiancée. Jessica joined the Rogue Valley team in 2016. Jessica attended Grand Rapids Community College and lives with her husband, Collin, her cat, Ellie, and her horse, Scout. When she’s not at work, Jessica likes to spend her time golfing, reading, hunting, and fishing. She participates in 4-H and loves anything Harry Potter related. Sam is Rogue Valley’s rehabilitation technician. 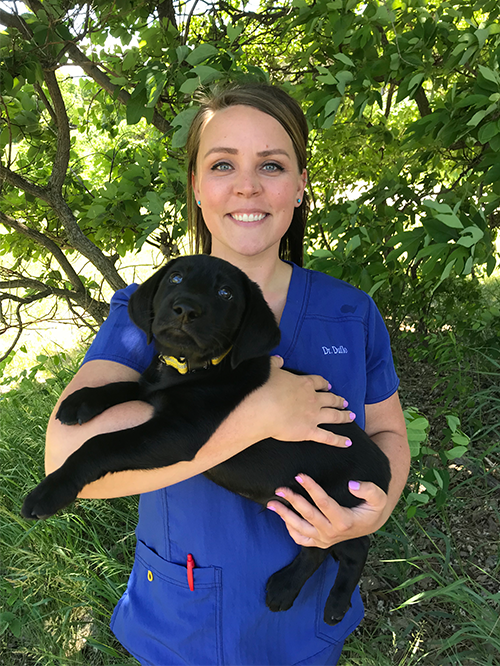 She joined the team in 2016 and has since gotten her certifications in PennHip and Canine Rehabilitation. She attended Baker College and the Canine Rehabilitation Institute. She lives with her two cats, Harrison and Allie. In her free time, Sam loves spending time with her family, kayaking, reading, and hiking. Alex became a member of the Rouge Valley team in 2017. He has his Bachelors from St. Johns University in Minnesota. He lives with Lionel, his Rhodesian Ridgeback. In his free time, Alex enjoys hiking, camping, traveling, reading, building computers, and skiing. Kelly joined the Rogue Valley team in 2017. She previously attended Central Michigan University and Lansing Community College. She lives with her boyfriend, Keith, their Australian Shepherds, Skyler and Clyde, and their six cats, Tegan, Chomper, Birdy, Ducky, Woody, and Harley. While not at RVVH, she enjoys swimming, camping, hiking, and spending time with her family and friends. Kelly joined the Rogue Valley team in 2017. 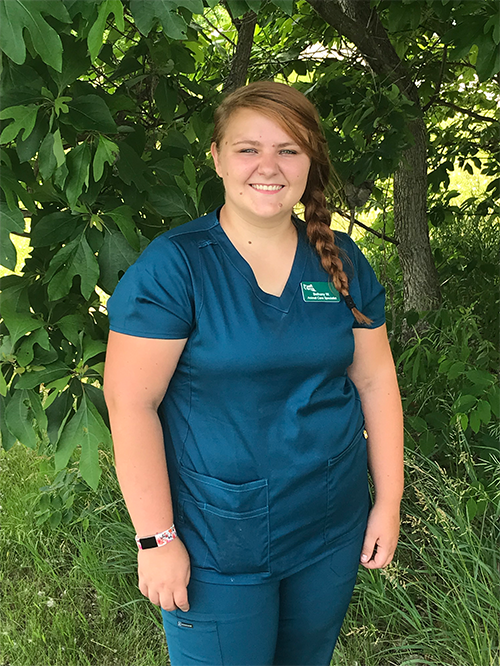 She has her Bachelors from Grand Valley State University and is currently attending veterinary school. In her free time, Kelly enjoys hiking, traveling, reading, and spending time with her family. Bethany joined Rogue Valley in 2018. She attended Animal Behavior College. She lives with her mother, Elisse, her mini pinscher, Gambit, her Jack Russel Terrier, Rascal, and her Chocolate Lab, Bryer. 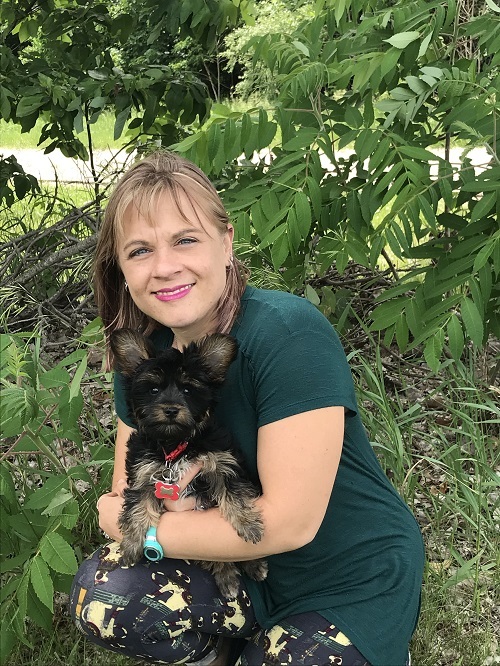 When she’s not working, Bethany enjoys going to the racetrack to watch the races and spending time with her four-legged kids. 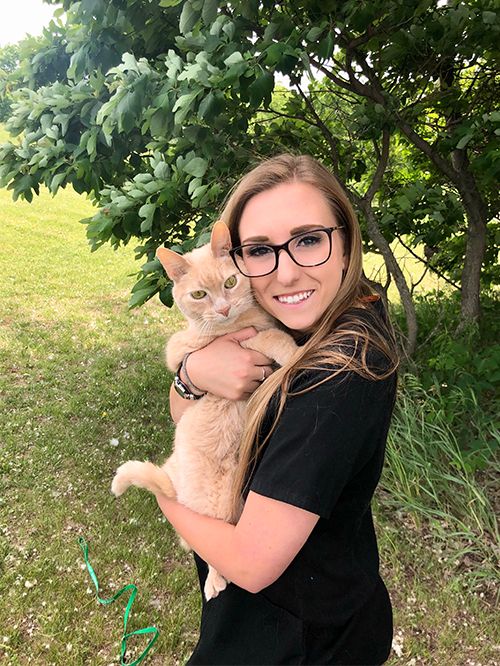 Kenzie started working at Rogue Valley in 2018 after graduating from Baker College. She lives with her boyfriend, Dan, her chihuahua, Dixie, her deaf Pitbull, Nova, and her Chinese Water Dragon, Attila the HUNgry. She also has Kato, a Pitbull/Boxer mix. In her free time she loves to be outdoors, whether she’s camping, fishing, crafting, doing water sports, or archery. 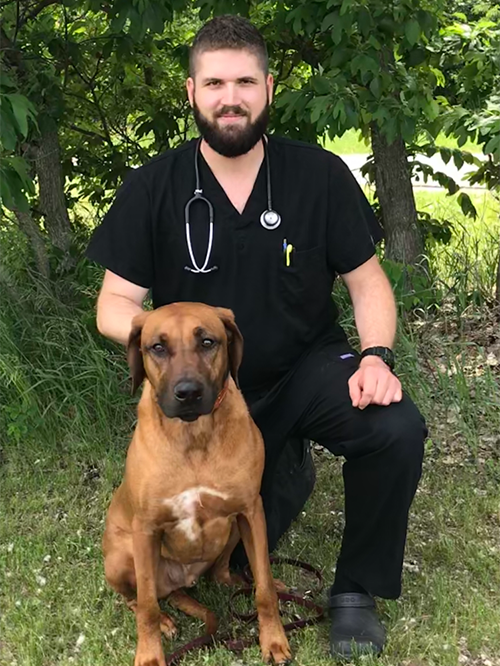 Mike started working with Rogue Valley Veterinary Hospital in 2018. While he has decades of experience training all sorts of dogs, he specializes in reactive and aggressive dogs, or dogs with specific problem areas. 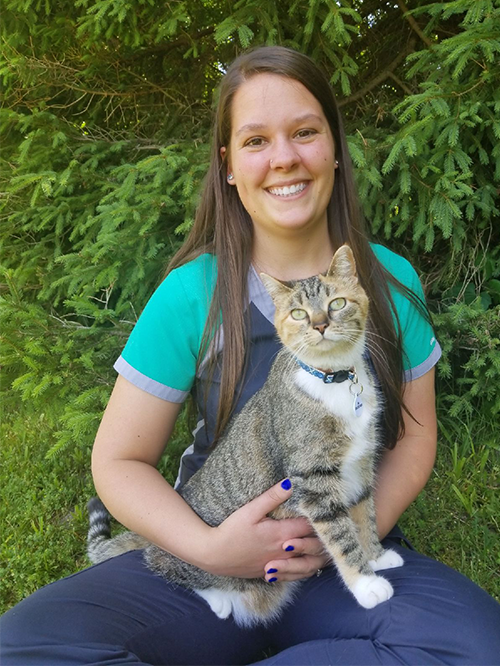 Samantha began working at Rogue Valley Veterinary Hospital in 2018. She lives with her husband, Daniel, and their four-legged fur baby, Murphy. While not at work, Samantha likes to garden and craft. She also loves kayaking, reading, dancing, fishing, and cooking, as well as spending time with her family and friends. 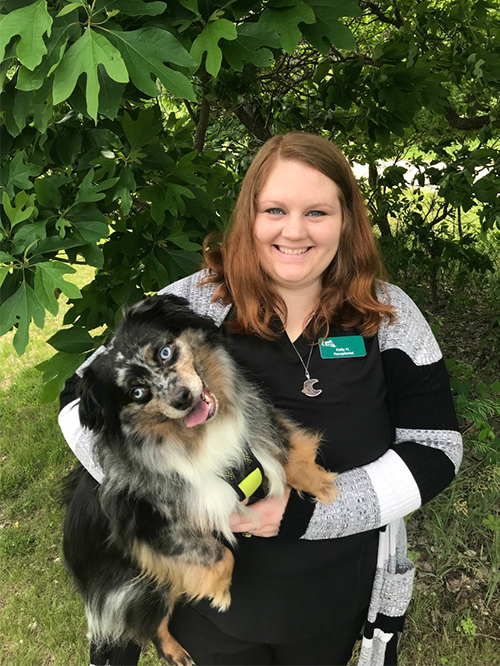 Sam started working at Rogue Valley Veterinary Hospital in 2018 afddter attending Animal Behavioral College for Dog Obedience. She lives with her two cats, Felicity and Stella, her Rottweiler, Thor, and her Shih Tzu, Sophie. In her free time she enjoys reading, fishing, and baking. Gypsy joined the Rogue Valley team in 2012. 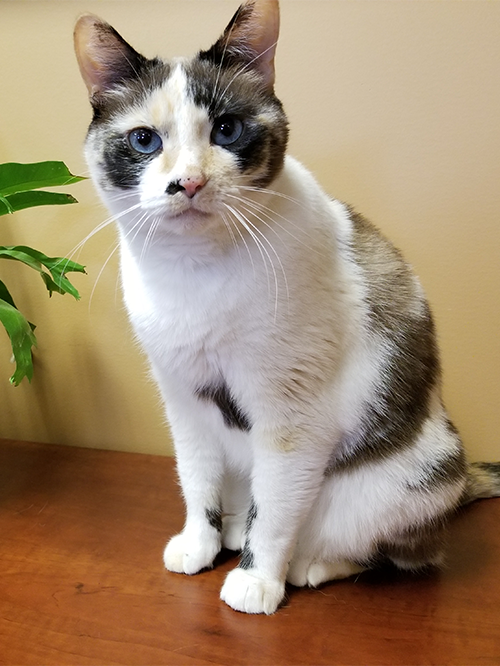 She spends her days knocking pens off of counters and greeting Rogue Valley’s visitors. In her free time you’ll find her sleeping the day away in her basket at the front desk. Pickles joined the Rogue Valley family in 2008. 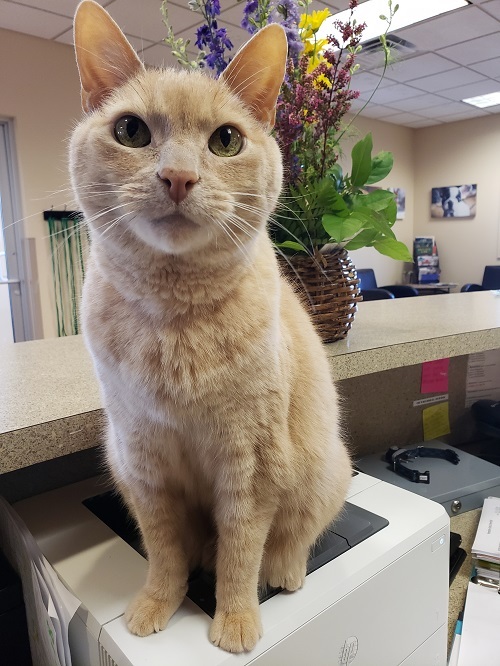 He spends his days trying to sneak into the break-room for human food and sitting on keyboards as the staff tries to type. In his free time you’ll find him sitting on the printer at the front desk, soaking up the heat from all of the computers.